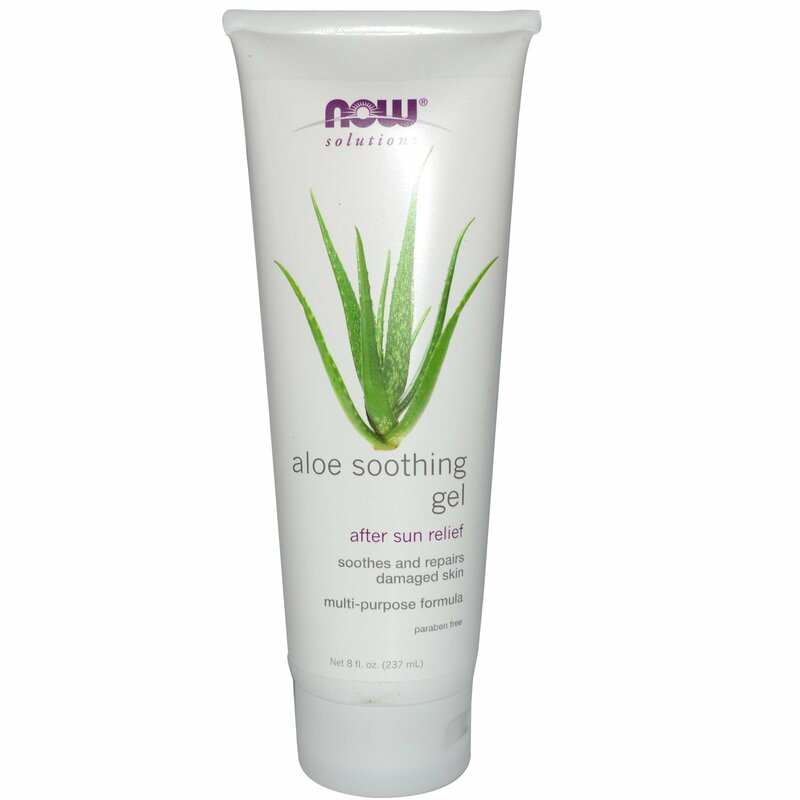 Solution: Aloe Soothing Gel is a refreshing and revitalizing formula with Organic Aloe Vera and Cucumber Extract to help naturally replenish healthy skin cells. Allantonin, L-Arginine and Vitamin E help to soothe and calm skin that has been exposed to the sun for too long, and help repair the damage that has been done. 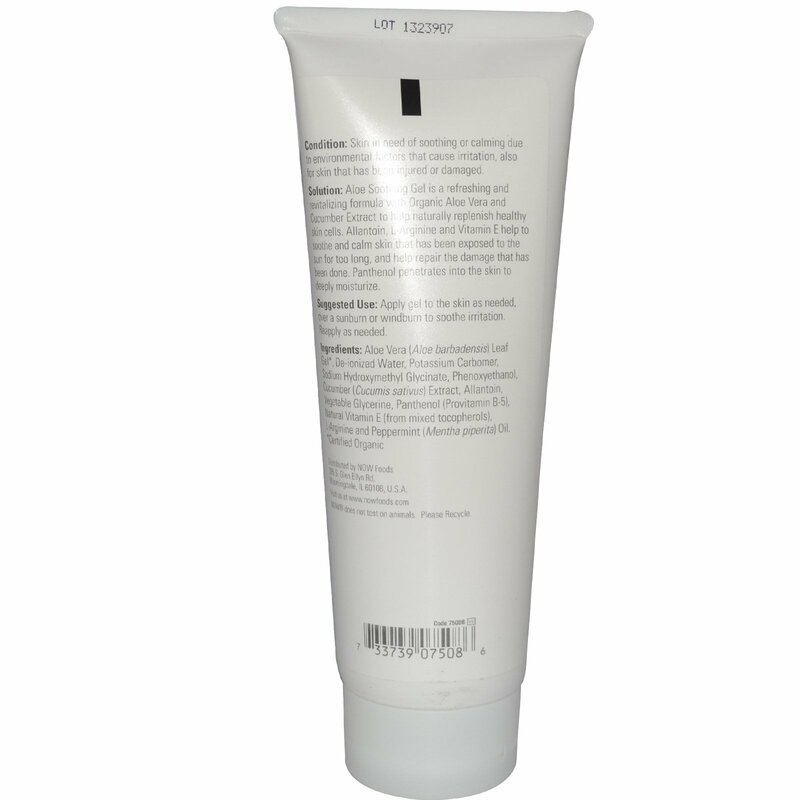 Panthenol penetrates into the skin to deeply moisturize. Aloe vera (aloe babadensis) leaf gel*, de-ionized water, potassium carbomer, sodium hydroxymethyl glycinate, phenoxyethanol, cucumber (cucumis sativus) extract, allantoin, vegetable glycerin, panthenol (provitamin B-5), natural vitamin E (from mixed tocopherols) (soy), l-arginine and peppermint (mentha piperita) oil.